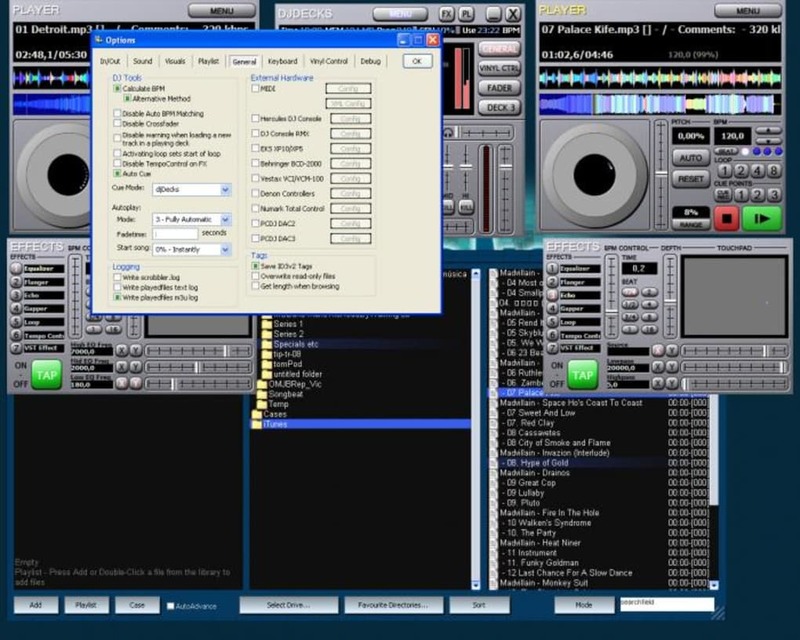 If you want to have a go a t DJing, DjDecks turns Windows into a two or three deck DJ console. DJDeck's interface might be a bit overwhelming at first, with two players opened by default, and lots of buttons and sliders. Luckily, it supports dragging and dropping, so getting started is just a case of opening your music folder in the application, and dragging a track into a player. There is everything a DJ might expect like equalizers, a cross-fader and scratch pads. 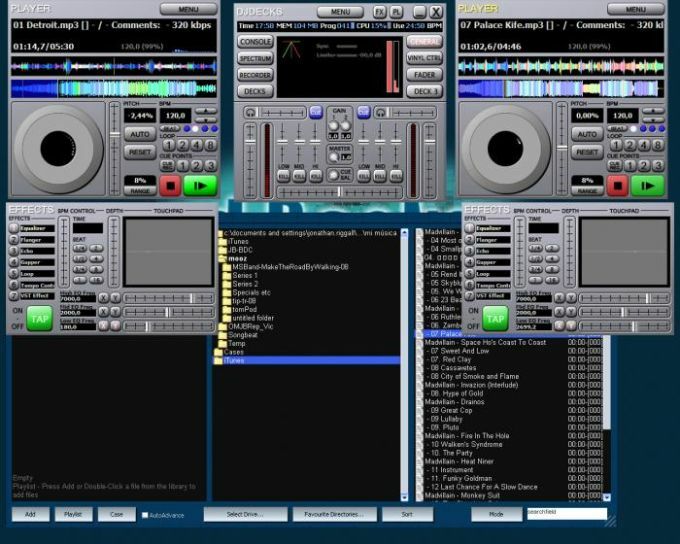 The first time a track is played, it's analyzed and automatically given a BPM. This seems accurate. There are lots of effects to play around with, although it's not well explained, so if you don't know what to do, you'll have to learn by trial and error. Of course, there is a manual included, but not in program. DJDecks is always full screen, which is annoying, and it's not very attractive. In terms of functioning, it works well once you get the hang of it, but it is not at all intuitive. Most functions are mapped to keyboard controls, but the layout is quite complex. 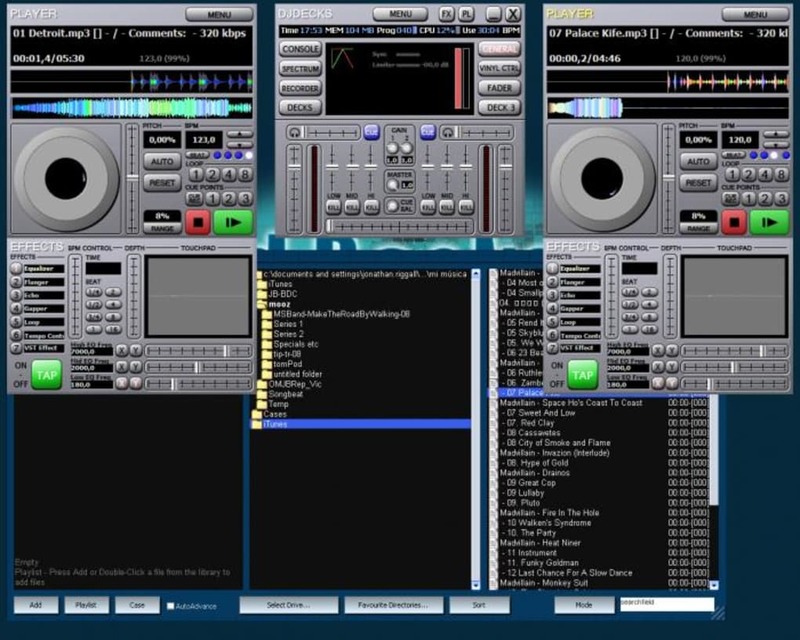 DJDecks is a competent DJ application for experts, but isn't accessible for beginners and lacks a windowed mode. What do you think about DjDecks? Do you recommend it? Why?